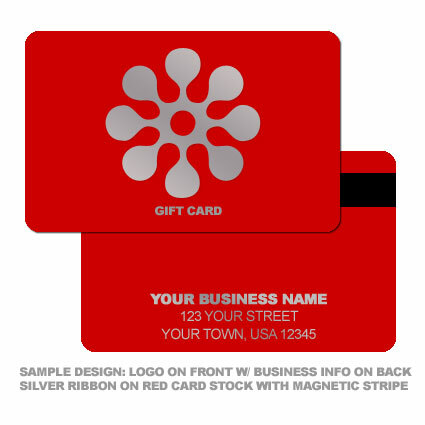 With custom gift cards from POSMicro, you can be sure your customers get the right gift. 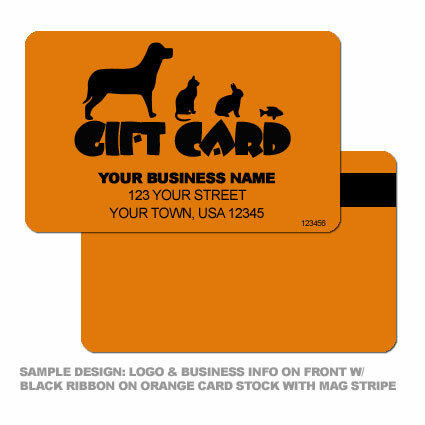 These gift cards feature your business´ logo in black text/graphics on your choice of card stock. 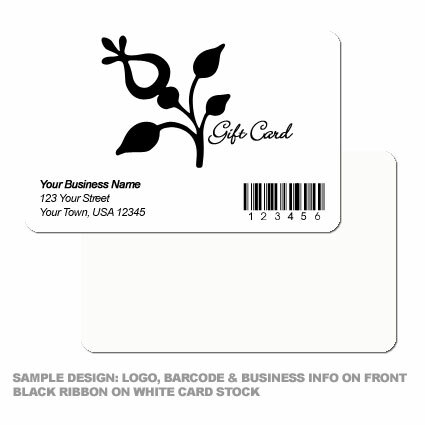 Custom printed gift cards are a great way to build your business´ brand and a quick and easy choice for last minute shoppers. Six digit sequential barcodes which can be used with POS Software. Bulk Pricing Discounts available for quantities over 250. Logos will be inserted onto card as is and will not be touched up or re-worked in house. By default, mag stripes are encoded with a 6 digit number on Track 2. If you need specific data encoded to work with your software, please let you sales representative know when placing your order.